You have decided to venture out into the wild, but what will you need in order to not only survive, but also enjoy, your time there? Whether you are planning a camping trip or a backpacking expedition, this website has been designed to bring you the most important information you will need as you plan your escape from the modern world. Some websites are built for seasoned campers and backpackers; others are built for those planning their very first trip. The aim of this website is to speak to everyone along that spectrum and meet each of your needs along the way. To help you find everything you will need for your trip I have included reviews of today’s top-selling tents and camp gear. In creating this website, it was my mission to bring you everything you need in one place. Very few people venture into the wild with only a tent, so I didn’t think it would be fair to only review tents here. I also reviewed essential and non-essential camp gear including camp stoves, sleep accessories, knives, and cookware – just to name a few. I’m not sure about you, but I find it rather annoying when I need to bounce around the internet from website to website to find all the information I need. That is why I have also included important information in the form of buying guides and other informative articles to assist you in making the best decision possible. You can find these special guides and articles in each of the subsections described below. You may think that buying a tent will be a simple task. Unfortunately, that isn’t usually the case. Allow me to take the confusion and frustration out of the usual tent purchasing equation. 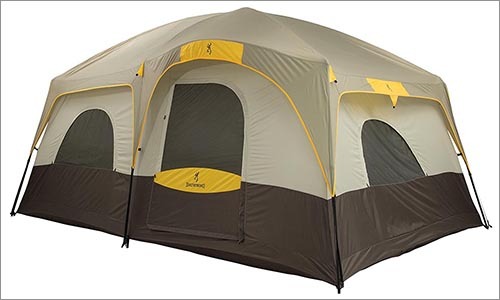 I have included reviews of the most popular, top-selling tents for each of the following sections. To bring you the best tents on today’s market, I compiled research about tent sizes, tent materials, tent shapes, and various special features you can find in some tents. I used this information, along with sales statistics and consumer ratings, to create lists of what I believe are the best tents on today’s market. For more information about how to select the right tent size for your needs, visit this page. You may also want to read a bit more on the things to consider when purchasing a tent, before continuing on to the tent reviews. Most people prefer a one person tent for all their backpacking needs. A one person tent is meant for one person. Though that may seem like an obvious statement, you will see in our future discussions that the “size” of a tent does not always denote how many people can comfortably fit inside of it. One person tents come in a variety of shapes and sizes. Some are basic bivouac tents which fit your body like a cocoon, whereas others allow you to sit up inside. 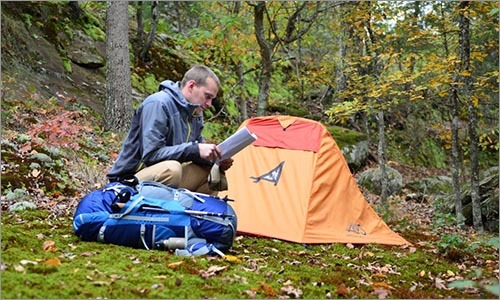 Two to three person tents can also be helpful on a backpacking trip. They are especially helpful for trips during which you may be sharing your tent or which occur during the rainy season. The extra space they provide is perfect for another person or gear storage. Some one person, two person, and three person tents include vestibules, some have zip-away roofs which expose mesh, and others are made completely of mesh. The type of backpacking tent you purchase will rely heavily upon the weather you intend to camp in and a variety of other personal concerns. To help you determine which characteristics your perfect backpacking tent should have, I have written a brief buying guide. You may want to take a few moments to read it over so that you can amass a list of important characteristics before carrying on to read the reviews of today’s best one person tents and two to three person tents. Tents being shared with family, friends, or even your pets come in a large variety of sizes. Smaller options include four to six person tents and eight to ten person tents. Larger tents, which I categorize as tents for twelve people or more actually come with capacities as high as twenty-five to thirty people. If your jaw hit the floor reading that last sentence you should know you probably aren’t alone in that reaction. I am sure that you are trying to imagine why on Earth anyone would try to fit that many people inside of a single tent instead of purchasing separate tents. It is important to remember that the categories companies use for tents aren’t very accurate in terms of how many people can comfortably sleep inside of them. Instead, they are figures based on specific body sizes and virtually no room to move around once every person is in place. For information about selecting the right size for your own group, visit our this article. Family and group tents are available with domed roofs, cabin-style roofs and a few interesting and innovative roof types yet to receive specific names. Some have built-in lighting systems. Some have removable divisions which allow you to create separate rooms. For a full overview of some of the options you will find while looking for a tent this size, visit our guide. You will need much more for your leisurely camping trip or backpacking expedition than simply a tent. Don’t worry; I have included reviews of many of the other basic camping items you may require. As with all of the tents reviewed on this website, each piece of camp gear has been fully researched and deemed high quality based on its specifications, popularity, and consumer ratings. Although it can be fun to cook over a traditional campfire, many people prefer to leave that for their s’mores and favor more modern options such as the camp stove or grill for meal preparation. Personally, I prefer the taste of food which has been prepared over an open wood fire, but even I bring along a camp stove and a grill on family trips. I do this mostly because dry wood isn’t always an option and it can be very difficult to prepare eggs for my entire family over an open fire. On the few backpacking trips I have ventured out on I have even chosen to bring a small portable stove. You can find some information about those in this section as well. 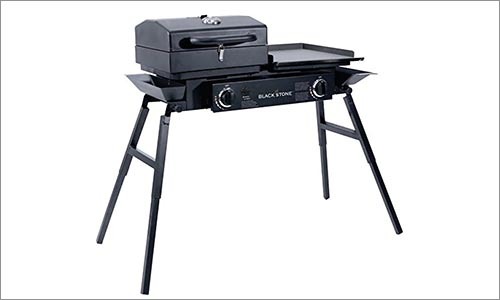 If you are interested in purchasing a camp stove or grill (or both) for your next camping trip, take some time to read through our camp stove and grill buying guide for some helpful tips. I’m not sure about you but I am about as ornery as a hungry bear when I don’t have my morning cup of coffee. Whether you are an avid coffee drinker or enjoy an afternoon tea, I worked hard to bring you a list of pots which will fit your camping needs. 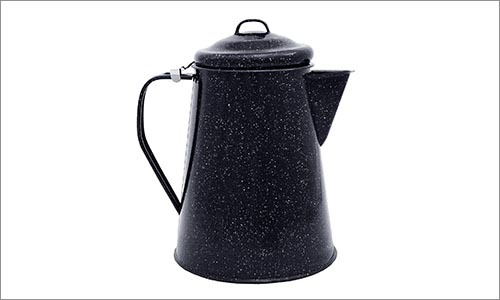 From percolators to drip coffee makers and even a few traditional French presses, I found the best top-selling camp-friendly coffee makers on today’s market. If you aren’t a fan of drip coffee but aren’t quite sure whether you should choose a percolator or a French press for your camping trip, wander over to our article about selecting between the two types of coffee makers for some help deciding. From traditional, short and stout teapots to collapsible, silicone kettles, I also brought you a variety of options for brewing the perfect cup of tea. Unless you are planning to live off the land (or possibly potato chips), chances are that you will need some sort of refrigeration device for your camping trip. 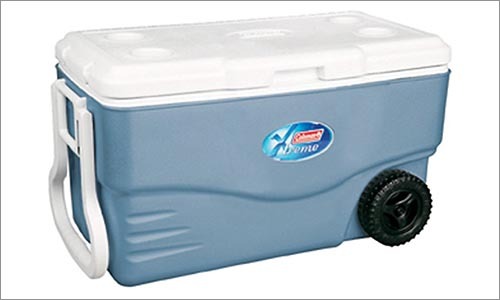 From Coleman to Pelican Products and every other well-known company in the world of coolers, I have done my very best to bring you the very best coolers available. Whether you are looking for something with a soft exterior or a hard exterior, something with wheels, a handle, or both – I am confident that I have found something which will appeal to your needs and preferences. If you aren’t sure what you are looking for at all or have no idea which size would be best for the size of your group and the length of your trip, you may want to read our coolers buying guide here. While many people favor the flashlight, I believe that a lantern is an essential item on any camping trip. This is especially true for group camping trips. Although a flashlight can guide you down a path or help you read a book, only a lantern can properly light up your tent for a friendly game of poker. 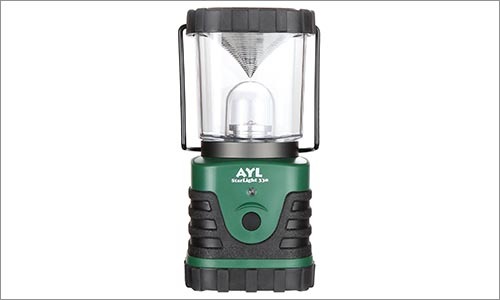 I have included a comprehensive list of today’s best-selling battery-powered and fuel-powered lanterns. 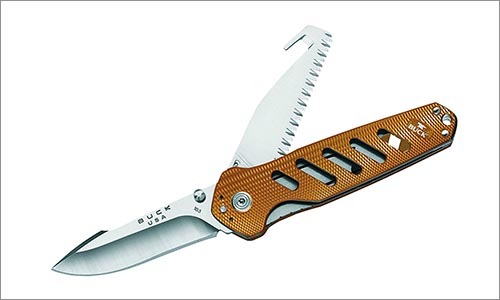 You may think that you would only need a pocket knife on your camping trip if you are also planning to hunt, but that simply isn’t the case. In fact, I find that my pocket knife comes in handy in everyday situations all the time – even when I am not camping. From opening the packaging of a newly-purchased item to cutting a piece or rope or chopping up food, the applications of a pocket knife to your next camping trip are rather endless. There are a few important considerations when it comes to purchasing a pocket knife, though. I encourage you to take a little time reading our guide for an overview of some of those considerations. Though a multi-tool may look like a pocket knife and vice versa, a multi-tool is actually many tools put together into one small package. Sometimes, a multi-tool doesn’t even include a knife and much of the time, a pocket knife does not include extra tools. 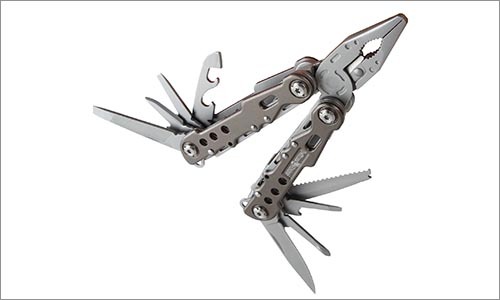 Like a pocket knife, however, a multi-tool has nearly limitless uses in the camp environment. For an overview of some of the many, many options you have when selecting a multi-tool, read our multi-tool buying guide here. After years of tripping over backpacks, piles of clothes, food, and board games inside my own tent, I realized the wonder that is the plastic storage container. 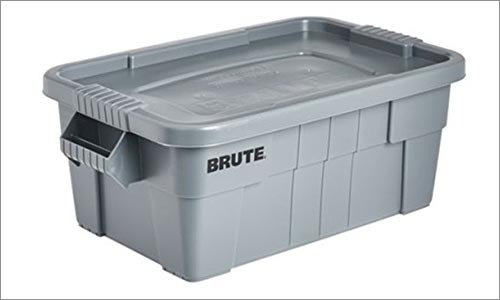 While some other storage options are available, I personally prefer plastic storage containers because they are stackable and durable. Oftentimes, they are even lockable. Some are watertight for those special camping and hiking trips which bring you out into open water. If you haven’t heard of a kitchen tent prepare for your life to change. 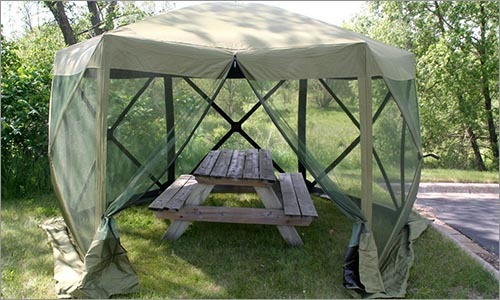 Kitchen tents are tall, floorless tents built to protect your food from bugs. While some are made completely of mesh, many are available with solid roofs and closable sides to protect you and your food from rain as well. Since they are often large enough to house a full-sized picnic table, kitchen tents are also a great place to escape the rain for an afternoon card game. If you want to camp in absolute comfort I highly suggest you look into purchasing one of these helpful shelters. It is very important to find the right sleeping bag for your body type and the conditions in which you will be camping. The first step is figuring out what your needs are. For help with that step, take a gander at our sleeping bag buying guide. The next step is to figure out which wonderful, top-selling sleeping bag fits those needs. 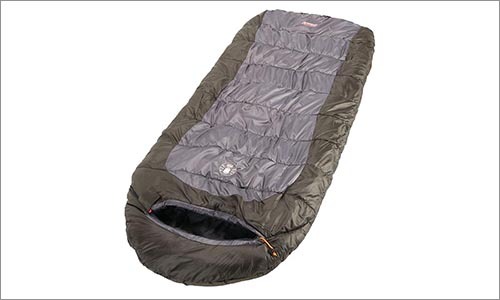 Lucky for you, I’ve included reviews of many different types of popular sleeping bags in this section of the website. I have done my best to bring you reviews of the most popular types of sleeping accessories for the camping life. 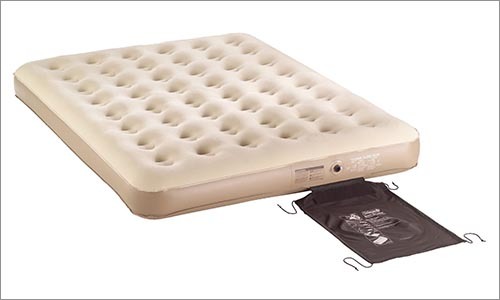 Air mattresses, cots, hammocks, and mattress pads all offer different levels of support and comfort for different people and some are better suited to specific sleeping environments. If you are already sure which type you would like you can head straight over to their air mattress, cots, hammocks or mattress pads section. If, however, you still aren’t quite sure which you would prefer, read our camp sleep guide for information about how each option matches up with your personal needs. If you are planning to cook on your camping vacation you are probably going to need some cookware. 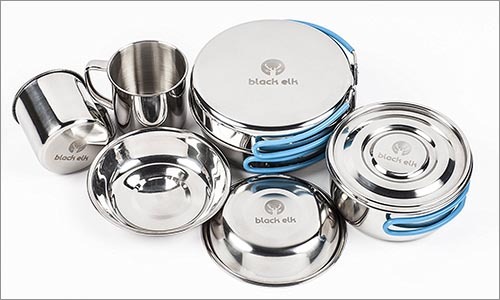 Did you know that there are specially-designed cookware options made specifically for camping? With foldable handles and the ability to nest inside of each other, the cookware sets in this section of our website are designed not only for utility but also convenience and transportation in mind. Our camp cookware guide can help you find the right kind of cookware for your camp culinary needs.